A Whole new theatrical experience! 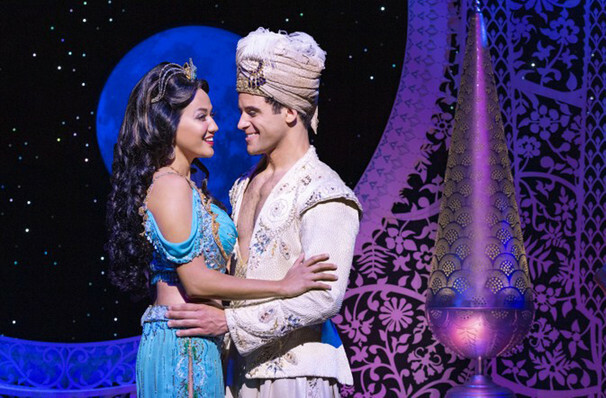 One of Broadway's finest family shows, don't miss the spectacle that is Aladdin on tour! Based on the beloved movie, we follow our plucky hero as he tries to win the heart of Princess Jasmine and keep his magic lamp (Genie included) from the clutches of the evil Jafar! 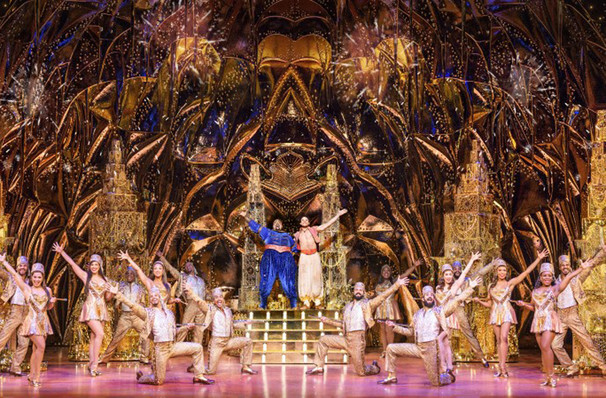 Featuring all the songs from the movie including, 'A Whole New World' and 'A Friend Like Me', Aladdin also welcomes some brand new hits my music maestros Alan Menken and Chad Beguelin. 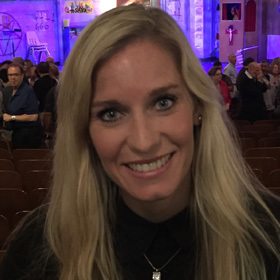 The Broadway production opened in 2014, and was greeted with enthusiastic reviews and five Tony nominations. Spectacular fun for all the family, the show has launched international productions in Japan, Germany and the UK. 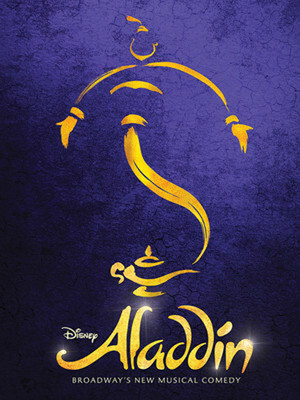 Aladdin is a charming street urchin in Agrabah, who, when 'exploring' the mysterious Cave of Wonders, uncovers an ancient lamp that proves to be more than just a lighting solution. He unwittingly frees the lamp's resident wacky Genie, who grants him three wishes. Transformed from pauper to Prince, Aladdin catches the eye of beautiful but bored Princess Jasmine, who longs for some adventure of her own! But it's not all a smooth magic carpet ride, because Aladdin isn't the only one that knows of the lamp's power. 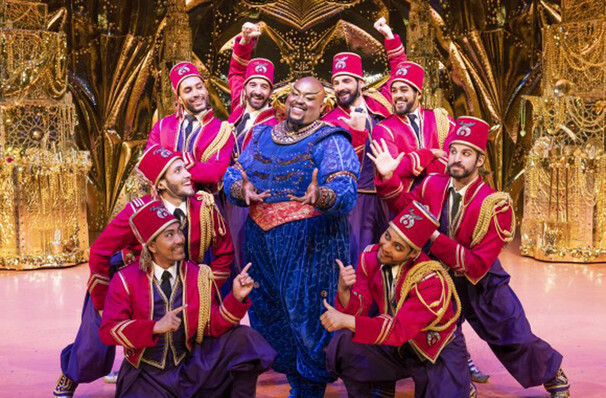 Enter the nefarious Jafar and his minions, who have plans for three wishes of their own and it's up to Aladdin to defeat him to keep the Kingdom from his clutches. Suitable for audiences of all ages but perfect for families to enjoy the adventure together! Disney has truly shown us a whole new world - shining, shimmering, splendid! Sound good to you? Share this page on social media and let your friends know about Aladdin at ASU Gammage Auditorium. Please note: The term ASU Gammage Auditorium and/or Aladdin as well as all associated graphics, logos, and/or other trademarks, tradenames or copyrights are the property of the ASU Gammage Auditorium and/or Aladdin and are used herein for factual descriptive purposes only. We are in no way associated with or authorized by the ASU Gammage Auditorium and/or Aladdin and neither that entity nor any of its affiliates have licensed or endorsed us to sell tickets, goods and or services in conjunction with their events. Tempe Theatre is part of the Theatreland Ltd Collection. Established in 2003, Theatreland offers the largest individual collection of websites providing complete, impartial guides to all the theatrical, musical and performance arts events and venues in the world's greatest theatre cities, from New York's Broadway to London's West End and from the showrooms of Las Vegas to Shakespeare's Globe Theatre.